Since this has been an unusually busy week so far (teaching my first sewing class on Monday, our 2nd wedding anniversary yesterday, and the usual workdays), I have barely sewn. My WIPs are all from the weekend! After seeing my crazy pile of WIPs on the couch, some friends on Instagram helped me brainstorm new, easy options. Stacey (@staceyinstitches) suggested I use a drying rack. I had one in my closet that I hardly ever use. Boom! Instant pretty organization. 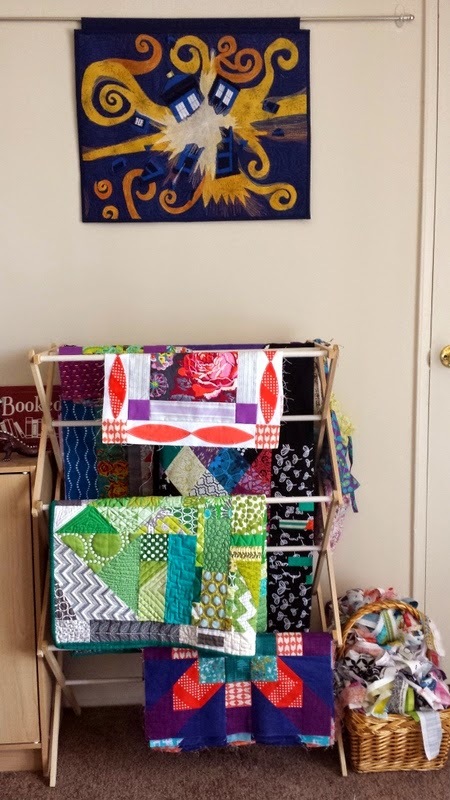 I have a couple of finished minis laying on there, plus Supernova blocks, my petal medallion starter, progressive bee quilt, and AMH medallion top. Muuuch better! Overall, I'm having difficulty balancing my free time between reading Dragonfly In Amber (the second book in the Outlander series by Diana Gabaldon, and boy, is it a doozy), watching Game of Thrones with Mike, and sewing. I guess it's a good problem to have? I love the drying rack idea! Thankfully my WIPs aren't numerous enough to justify one (yet). Reading and watching things really cut into my sewing too! The drying rack is a great idea. 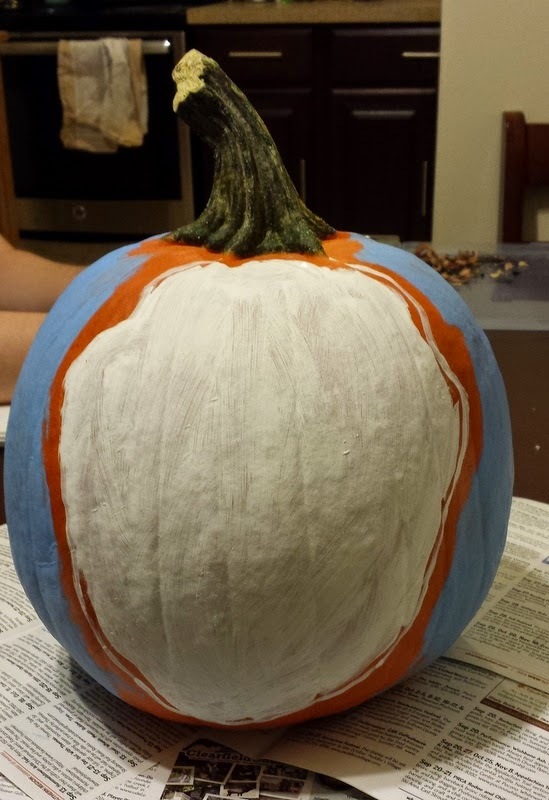 I love your painted pumpkin too. Love your drying rack! 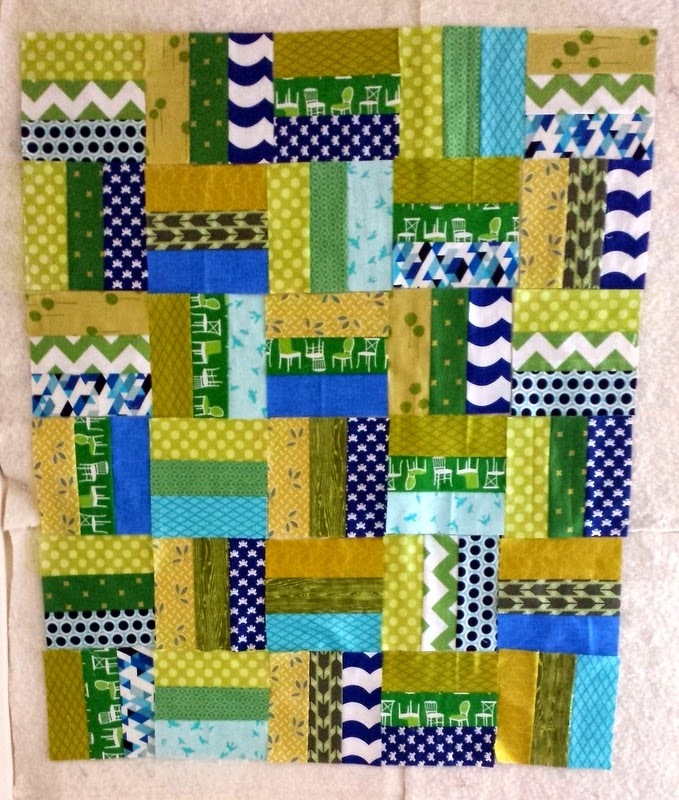 I have too many WIPS (especially if you count the tops waiting for backs and quilting) and would crush the rack!! 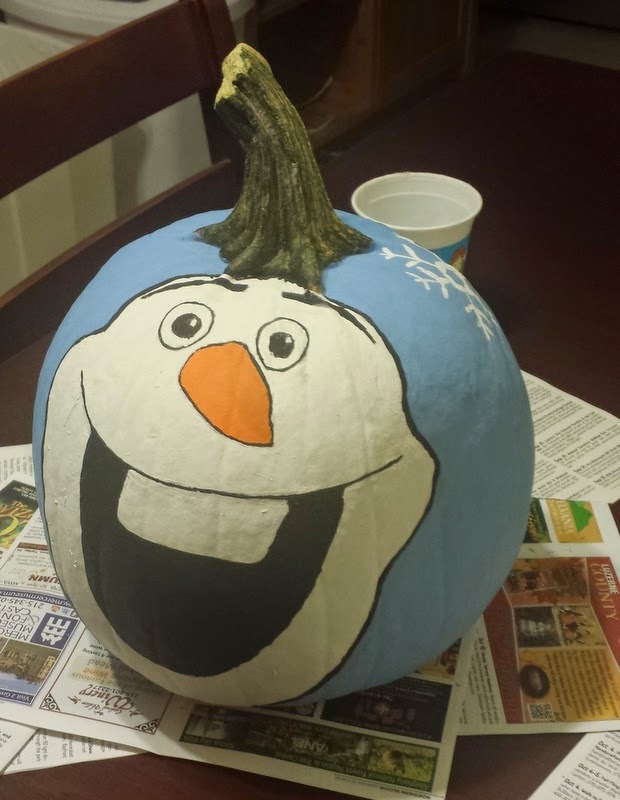 Adorable pumpkin and your classes are so exciting!!! You are having the time of your life, even though stretched thin. Enjoy yourself, but don't forget to take care of yourself too! !